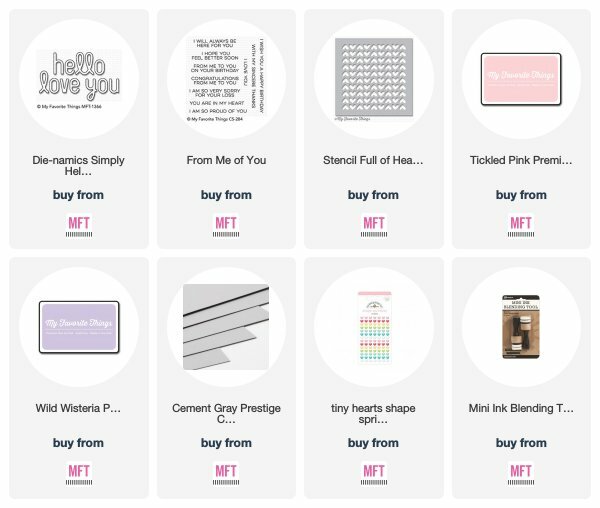 MFT August New Product Release! YAY!! finally!! Shopping Day! !, I hope you have a list and are ready to hit the shop, you can do so HERE and don’t forget if you need more inspiration just head over HERE..
Well yes that is what is on my card today, stamping her out as I think she is a girl and colouring with Copics, I hand cut her out and set her aside.. I then took some Cement Gray card stock and die cut the word Love You from the Simply Hello and Love You die, adding this to the stenciled background.. I sure hope you enjoy your shopping day and have loads of fun playing with the new goodies..
Oh my goodness !! That’s just the sweetest little donkey ever ! !